It was presumably a cold, wintry February day in the United States capital of Philadelphia, Pennsylvania (the capital would not move to DC until 1800) when President George Washington put pen to paper and signed the Postal Service Act of 1792. While a rudimentary colonial mailing service had been around since for nearly a century and a half, this new law changed the mailing game entirely. It gave the United States Postal Service a two-year window that would be quickly extended indefinitely. As the law was written, it gave the federal government the ability to establish official mail routes. It also allowed newspapers to be included in mail deliveries at reduced rates. The reason for this, as The New York Times describes, was to ensure the spread of information from the urban centers to the furthest frontiers of this growing nation. In addition, it gave the President and Vice-President the perk of free mailing and made it illegal for anyone – including postal employees – to open someone else’s mail. In other words, the act signed 225 years ago by the country’s first President established the modern United States Postal Service that we all know and, sometimes, love today. Here’s the early history of the United States Post Office and how it officially became a reality on that blustery winter’s day 225 years ago. According to an 1894 researched report, the earliest effort to create any sort of post office in the colonies was in 1639 by the Massachusetts General Court when a tavern in Boston owned by Richard Fairbanks was designated to be the first post office. This was in keeping with the European tradition of coffee houses and taverns being mailing centers. The first post messenger may have started in 1672 or 1673 with instructions to “behave civilly” and to mark trees so other travelers would know where they are going. Around that same time, a monthly mail route was set up between New York and Boston. It became known as the Old Boston Post Road, which is still part of today’s US Route 1. It was two decades later when the King and Queen of England granted Thomas Neal – a man who lived in England and had never been to the colonies – a 21-year grant to establish offices that received and dispatched letters and to set postal rates. This created a centralized postal organization that helped foster a more efficient means of correspondence between colonies and to encourage trade and commerce. In 1707, the British crown bought out the grant and brought the system under their control. By the 1730s, the colonies’ postal system was pretty well-established. Mail carriers from Maine to Georgia (in the South, often slaves) trudge across the rapidly expanding American land to deliver letters, correspondence and contracts. The position of postmaster had become a posh, but important one. They were in charge of the postal rates, the exact routes taken by carriers and the locations of post offices. In addition, each city had its own postmaster, which carried out many of the same responsibilities as the postmaster general but on a regional basis. In 1737, a young 31-year old publisher, printer and well-known civic leader was appointed to be the postmaster of Philadelphia, then one of the most populous cities in the colonies. His name was Benjamin Franklin. For 16 years, Franklin used his influence and power as the city’s postmaster general to increase the circulation of his Pennsylvania Gazette by decreasing newspaper mailing rates. While this certainly does seem like a conflict of interest, this practice was actually encouraged. In 1753, when the postmaster died from a long-standing illness, Franklin was promoted to be the joint postmaster general – along with William Hunter from Williamsburg – for all the colonies. In that position, Franklin helped modernized the post office. His first order of business was to set out on a long tour in order to inspect the post offices and survey the routes used. He concluded that more efficient routes needed to be taken, so he oversaw the marking and laying out of these new roads. Next, he put in place night service between Philadelphia and New York to improve the speed of mail delivery. Then, he installed a standardized system of postal rates based on weight and distance of delivery. He also created a regular schedule for mail by boat from the colonies to the homeland of England. By 1760, and for the first time in over a century of operating, the colonies’ post office turned a profit for the British crown. However, as the clouds of revolution approached, it became clear where Franklin’s allegiances laid – with the colonies. Despite Franklin’s considerable and notable work for England, he was dismissed in 1774 as postmaster general for being a colonial sympathizer. Franklin’s career being in charge of mail wasn’t over, however. Within weeks of the Battles of Lexington and Concord setting off the American Revolution, the Second Continental Congress met and Pennsylvania’s representative was Franklin. At the time, William Goddard was running the Constitutional Post, a mail service financed by newspaper subscribers. The main purpose was to disseminate information about the rebellion and to connect Congress to the armies. Because of this, mail carriers had to swear to secure their missives under lock and key in case the British attempted to take them. In July 1775, citing his experience, Franklin was named the Postmaster General of the Constitutional Post. Since he was in that position when the Declaration of Independence was written, he earns the distinction of being the first Postmaster General in US history. However, he would resign in November of that year in order to become a delegate to Paris to gain their support for the war. Six years later, the Articles of Confederation gave the federal government the right to establish and regulate post offices. 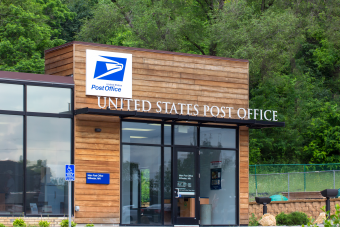 Revisions and ordinances continued to add shape to the post office’s duties, restrictions and rules, including one that said the federal government had a monopoly on delivering the mail. The Constitution – officially ratified in June 1788 – gave many of the same powers to the post office that the AOC did. 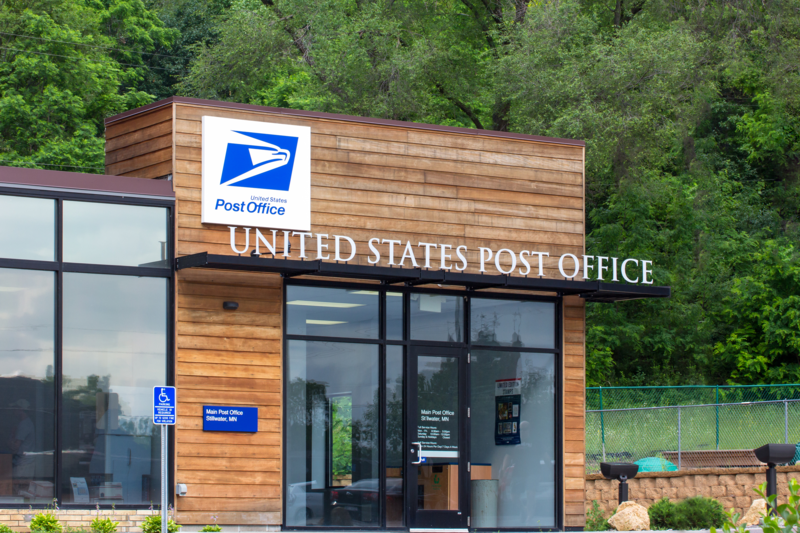 By 1790, a United States population of almost four million was served by 75 Post Offices and approximately 2,400 miles of post roads. Two years later, in 1792, America’s first president signed the Postal Service Act, creating the modern United States Postal Service. And the rest, as they say, is history.